3rd February 2019 – Another weekend, another mix of surfaces, but again some impressive performances from PACE athletes. 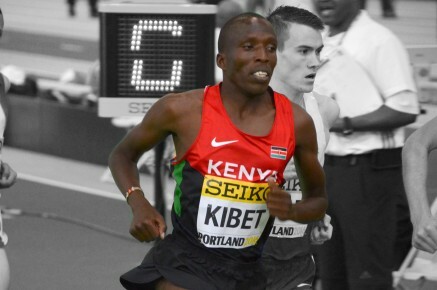 At the second leg of the IAAF World Indoor Tour in Karlsruhe, training partners Vincent Kibet (KEN) and Bethwel Birgen (KEN) secured a 1-2 in the men’s 1500m. Keeping out of trouble throughout the race they hit the front at the bell (200m remaining) and although Bethwel led into the straight it was Vincent who took the victory on this occasion. They clocked 3:38.23 and 3:38.69 respectively. In his first race of the year Andrew Osagie (GBR) placed seventh in the men’s 800m. In the US, Bralon Taplin (GRN) equalled the world lead for 300m as he won the Charlie Thomas Invitational in Texas in a time of 32.49 seconds. Continuing her comeback Shannon Rowbury (USA) made a rare cross-country appearance as she contested the National Championships. Finally, on the roads in England, Steph Twell (GBR) cruised to victory in the Chichester 10k as she ran 33:17.